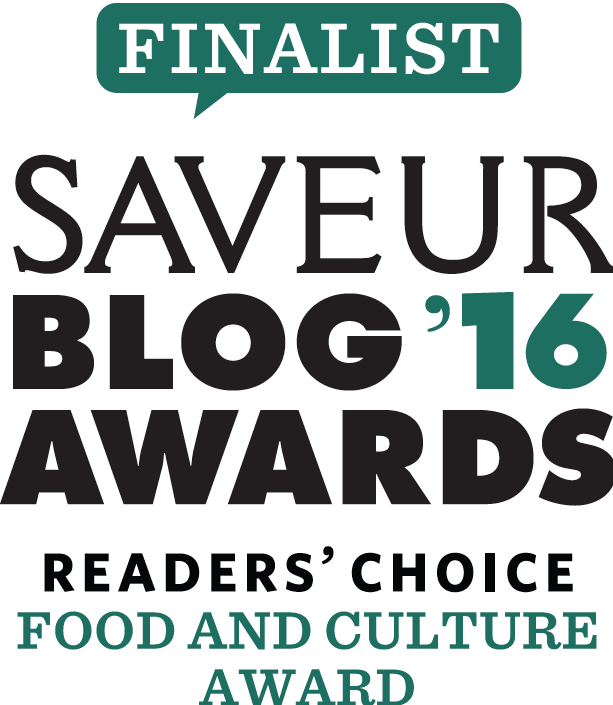 Zereshk – barberries – like memories – first need to be sorted through. Scatter them on a plate as you would dried legumes, and with a discerning eye pick out the older, shriveled and darker looking ones. Hang on to the bright crimson ones. Occasionally you might come across a small stone, pebble, or something of the sort. Give those the boot as well. While you’re at it remove the little stems too. Sometimes I skip this step. Like other things in life it all depends on my patience level, and the all-too-demanding tick-tock of the clock. It’s 1977, maybe 1978. When you are very young the magnitude of every hour, day and month is never lost on you. You proudly announce your age by year, month, day, even minute. Making sure no one mistakes the six-year-old you for the much younger five-and-a-half-year-old you. When later in life you look through the long lens of memory, the years meld into one. And now you refrain from any unnecessary age announcements. Next give the zereshk a bath. Even on lazy days follow through with this step. Place them in a bowl and fill with cold water. Let them sit and soak for about 15 minutes. Observe as the ruby red jewels re-hydrate, plump up and rise to the top as all the sand settles to the bottom. Best to leave the dirt and detritus behind. In life and cookery. Reach in and gently lift up the barberries (you can use your hands or a very small mesh colander for this) without disturbing the sand that has settled on the bottom. Place the barberries in a small colander, give a quick rinse and set aside to drain. My older brother Ramin and I take our positions at either end of the carpet adorning the family room floor. A recurring game of koshti – wrestling face-off between siblings. The sizzle of the onions hitting the hot butter catches me off-guard and within a few seconds the heady aroma of onions melting and caramelizing sneaks out of the kitchen. Winding its path beyond the piano (a constant reminder to practice), and stops short at the large living room windows. There it lingers in awe of the first snowfall of the season settling on the window sills. 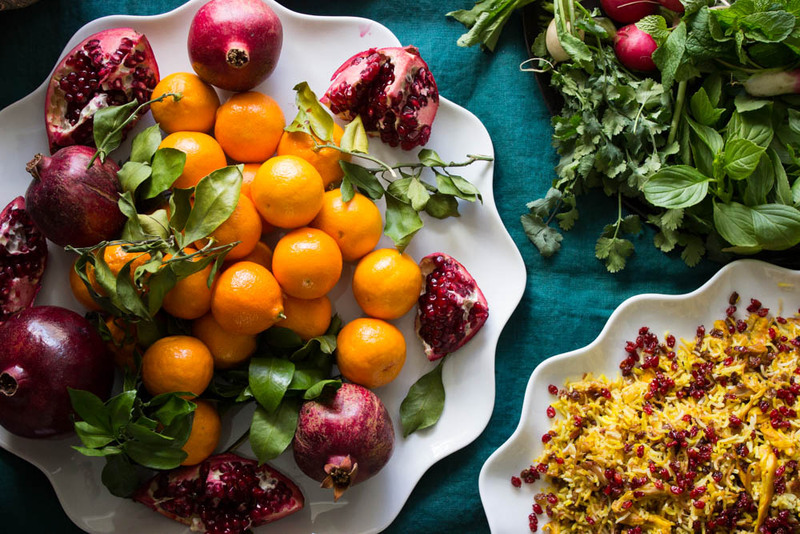 Just in time for Yalda night – the winter solstice. Overnight Tehran will be covered in a peaceful blanket of white. Hypnotized and distracted by the scents and sounds my eyes scan past Ramin, who is ready to charge, and fall upon our mother in the kitchen, rhythmically lifting the tart, jewel-like zereshk in and out of the bowl. I overhear our parents’ conversation. Like the onions, it sizzles and softens, casually weaving in and out of earshot. There’s talk of a possible trip to the mountains to enjoy the first snowfall. There’s also murmurs of unrest on the streets. With a yek-doh-seh my brother and I charge at each other. I give it all my little body has to give. He lets me win. He always lets me win. A typical weekend. It’s Tehran. But it could be anywhere. Caramelizing onions is a test in time, patience and heat control. But where there is great effort, there is also great reward. Most of the time. When preparing Zereshk Polo I like to caramelize the onions in butter for a silkier, nuttier, and of course tastier, finish. Start at a higher temperature and stir often. At this point you’ll need to use all senses to determine when to turn down the heat. Listen to the sizzle, stick your nose in there, and keep a close eye on those onions. Play with your heat source and don’t get discouraged – it takes time. Ultimately, after about 40 minutes the onions will shrink, sweeten and turn into a sticky rich shade of brown – caramel like. Some pieces turn darker and crunchier than others. Add the barberries to the caramelized onion at the very end. Barberries can burn very quickly so they only need a quick sauté, no more than 3-5 minutes. It’s 1980, maybe 1981. Snowfall in Rome is rare, but then again the past year or so has been anything but ordinary. The murmurs of unrest turned into demonstrations, which turned into revolution, which turned into blackouts, sirens and bombs. All that and so much more is now behind you. What’s ahead is unknown, uncertain, unnerving. But when you are young all that matters is what’s in front of you. And on this particular day it’s a few flakes of snow ushering in a new season and gently dusting the eternal city. 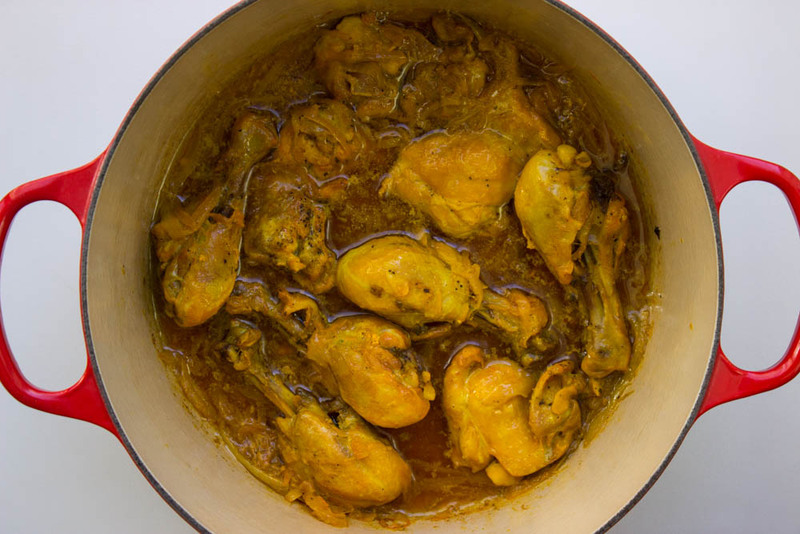 Gently simmering chicken in its own juices and saffron is one of the simplest and most satisfying dishes ever. 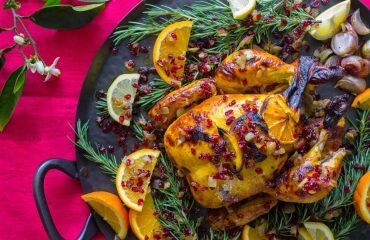 Even if you don’t scatter the chicken pieces in between the rice and barberries for the Zereshk Polo make this chicken and serve it with a side of plain rice, or roasted potatoes or scoop up with a warm piece of bread, like lavash or sangak. I like to use skinless, boneless chicken (except for drumsticks that are on the bone). If you prefer you can use thighs on the bone, with the skin on. Just make sure to remove the skin before adding it to the rice. Ramin instructs me to take my place at the other end of the living room, which also serves as the entrance, the family room, the dining room and my bedroom. There’s no space to charge at one other. I’m told to just stand, listen, and have my life as I knew it altered forever. My brother is now a full-fledged teenager and this is how teens speak. As I wait for further instructions I glimpse Baba anxiously flip through the newspaper. Anything about all that was left behind. Everyone that was left behind. Anything about what lies ahead. I hear the trepidation in her voice but I watch as her hand remains steady as she meticulously scatters the barberries, and the saffron chicken in between the rice. With the future unknown all we can do is take charge of what is in front us. She calls out that she’s put aside a few chicken pieces for us to snack on. I especially like to gnaw on the drumsticks. My brother declares the ubiquitous yek-doh-seh. He reaches over to the black cassette player and presses play. Just like Sabzi Polo, I prefer to make Zereshk Polo by layering the barberries, onions, and chicken in between layers of par-boiled rice and then steaming it all. 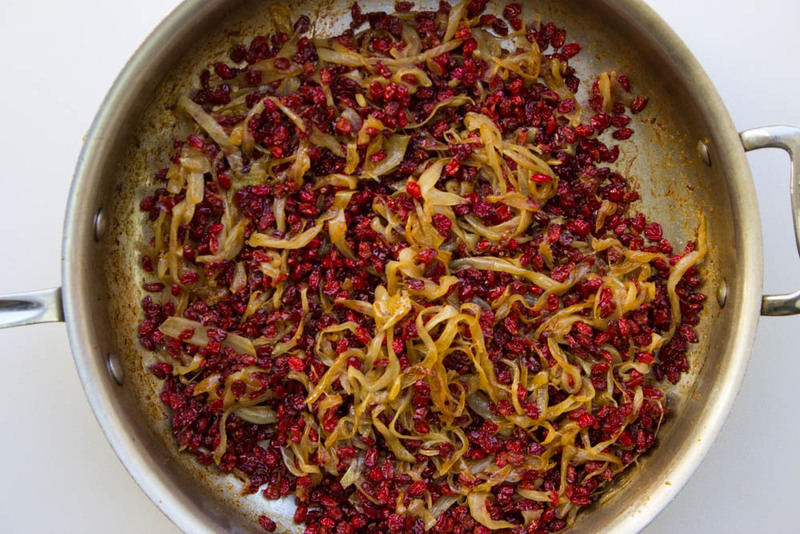 The barberries will bleed their crimson hue into the rice in this process so I like to set aside a couple of spatulas full of the barberries and onions to scatter over the entire dish when serving. Allowing the gems to shine. 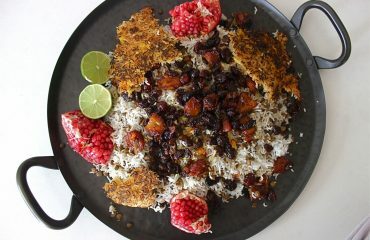 You can always also make a pot of rice and add the chicken and barberries to it when serving. 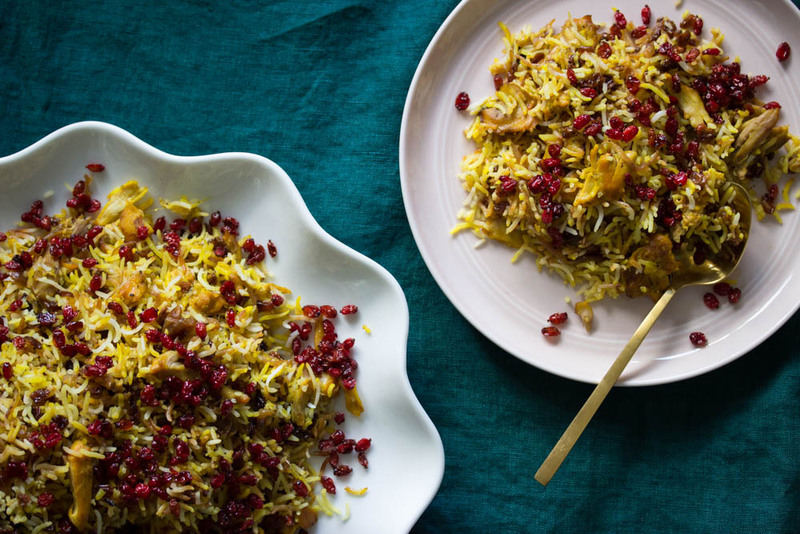 But I find the rice absorbing the flavors and juices of the saffron chicken and onion/barberries mix to be essential in this dish. It’s also the only way I was able convert my six-year-old into a Zereshk Polo lover. It’s 1983, maybe 1984. The unknown presented itself in the shape and form of Canada and you adapted. That’s what happens when you’re young – you adapt. To the rain. To the lush green maple trees and brown squirrels. To the questions, the assumptions, and presumptions. Ramin tells me to sit down. I do as I’m told. It is apparent he has important information to share with me. As I take a seat I watch Baba set the table. Ramin tells me to focus and listen closely to what he is about to tell me. I try to focus but am instantly distracted by the cloud of steam rising from behind him. Maman lifts the towel covered lid to the rice pot and instantly the windows fog over. For a brief moment I spy flakes of snow descending down on our rainy town of Vancouver. 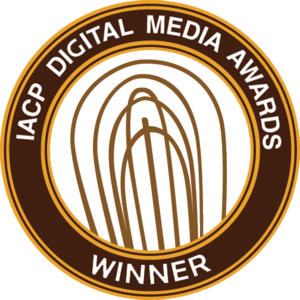 A moment to be celebrated. 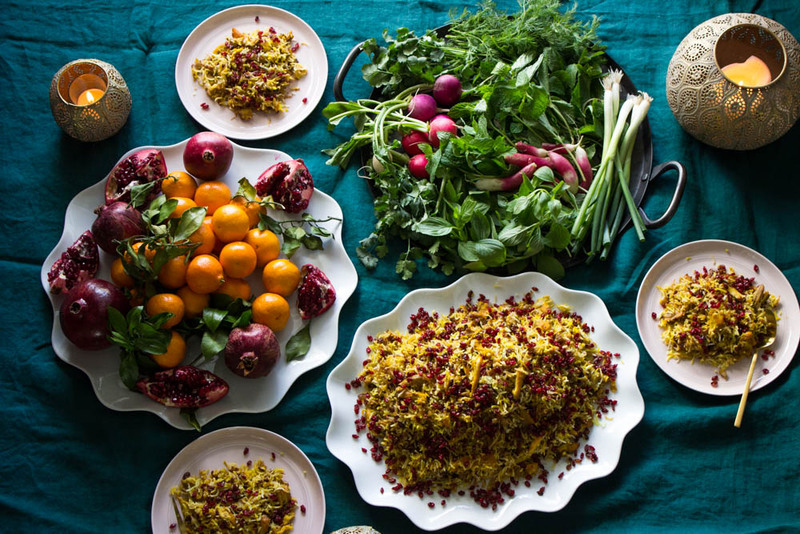 The steam carries with it the scent of Iranian rice, ruby red barberries and saffron chicken. The scent of home – wherever that may be. The very scent that has enamored my newly made Canadian friends with our food and in return with us. I quickly look back to Ramin and lock eyes with him, giving him all my attention. The scent of Zereshk Polo circles us both. I close my eyes. It’s Tehran, it’s Rome, it’s Vancouver. There is a comfort, a safety in it all. “Freddie Mercury is Persian” declares my brother with pride. I open my eyes. He smiles. I smile back. The scent of the rice and Ramin’s revelation have us both drunk with hope. They are gifts. Gifts to deflect all the mind-boggling questions, assumptions, presumptions and misunderstood notions of who we are and where we came from with the appropriation of a genuine rock star – a rock god – and a steaming pot of rice jeweled with tart, crimson berries. It’s 2015, soon to be 2016. Snow flakes are a fairy tale mystery in Los Angeles, as are drops of rain these days. Turns out Freddie Mercury isn’t Persian. It didn’t take us long to figure this out. But it doesn’t matter. He was Persian for us when we most needed him to be. And after all these years I find myself once again reaching for Freddie and an unmistakable fragrant pot of Iranian rice. To explain it all. The questions, assumptions, and presumptions. My preferred basmati rice at the moment is Royal Chef’s Choice. I purchase mine from my local Iranian market. You can purchase dried barberries (zereshk) at Middle Eastern stores or online. I have written more about zereshk here. I add a very small amount of sugar to the barberries here to balance out their tartness. I prefer them on the tart side. Feel free to add as much sugar as you like. But take note this is not meant to be a sweet dish! The great thing about this dish is that the caramelized onion and the saffron chicken can be made ahead of time. I don’t like to add the barberries ahead because they can dry out. Scatter the barberries on a plate and look through. Discard any older, shriveled, darker looking ones. Discard any small stones or pebbles. If you have the time take the little stems off the barberries too. 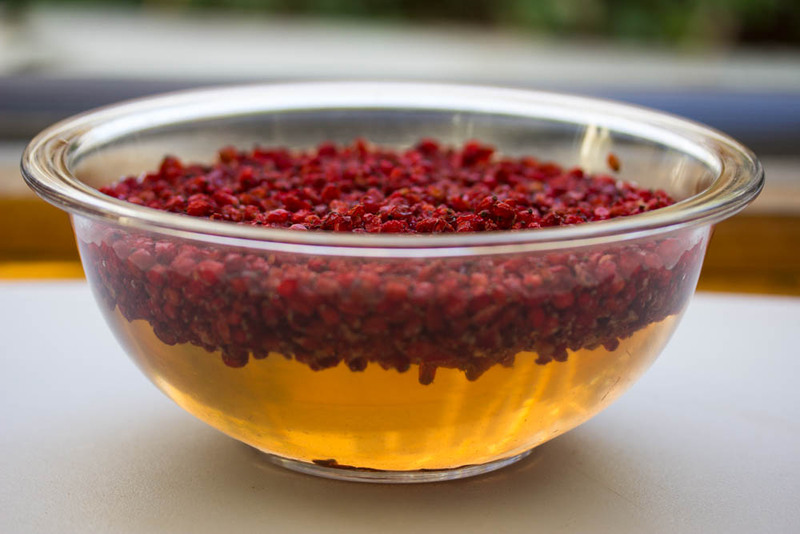 Transfer the barberries to a small bowl and cover with cold water. Soak for 15 minutes. Lift the barberries out of the bowl with your hand or using a small mesh colander. Taking carel not to disturb any of the sand and dirt that’s settled on the bottom. Give a rinse and set aside to drain. Finely slice 1 1/2 onions for caramelizing. Slice the remaining half and set aside for the chicken. In a medium pan melt 3 tablespoons butter over medium heat. Add the onions you had set aside for caramelizing. Turn up the heat to medium-high and saute for 10 minutes, stirring often. 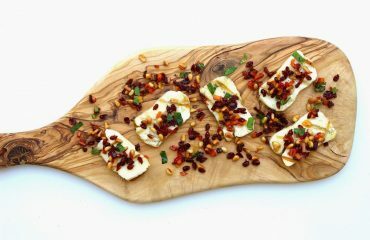 Turn down the heat to medium-low, sprinkle with a pinch of salt and caramelize, about 30 minutes. Keep an eye on them. Listen to the sizzle. Stir often. Play with your heat source. Turn it up slightly if necessary and turn it back down if they look like they might be burning. Ultimately, they will shrink to half their volume and take on a rich, silky caramel shade. Add the barberries and sugar in the final 3-5 minutes. Stir to incorporate, take off the heat and set aside. In a separate small bowl set aside a couple of spatulas of this mixture to garnish the finished dish. Wile the onions caramelize cook the chicken. Heat the olive oil over medium heat in a large pot. Scatter the onions put aside for the chicken in one layer on top of the oil. Place the chicken on top of the onion, add 2 teaspoons salt, 1/4 teaspoon ground black pepper and pour the saffron water over the whole thing. Make sure you get every last drop of saffron water. Swirl more water into the glass to get it all out. This is precious stuff! Give everything a stir. Cover and bring to a gentle boil. Turn down the heat to low and simmer for 40 minutes. Until the chicken is tender and cooked through. When the chicken is done tear into pieces, discarding any bones and skin and set back in its juices. Set aside. In a large pot bring 14 cups water and 1/4 cup kosher salt to a boil. Drain the rice and add to the pot. Stir ONE TIME very gently. Return to a boil and keep a close eye on it. Skim off any foam. Test your rice after 4-6 minutes until the rice is al-dente. Once al-dente drain the rice (I usually drain the rice at the 4-5 minute mark) and give a quick gentle rinse under cold tap water. Drain the rice completely. In a large non-stick pot melt 3 tablespoons butter over low heat. Make sure the melted butter covers the entire surface of your pot and along the sides. If not add more butter or 1 tablespoon olive oil accordingly. Add a pinch of saffron and swirl around. With a spatula add enough rice to fully cover the bottom of the pot. Using the back of the spatula or the back of a wooden spoon pack down the rice firmly. Add another layer of rice, then a layer of barberries, then another layer of rice, then a layer of chicken. Repeat, alternating layers in a pyramid shape. Your top layer should be a rice layer. Gently pour the juices from the chicken over the whole thing. Using the handle of a wooden spoon poke a couple of holes in the rice to allow the steam to escape. Cover and turn up the heat to medium/high. Cook for 10 minutes. Don’t go anywhere! The tahdig can burn very quickly. Turn down the heat to medium. Lift the lid and cover with a clean kitchen towel or a couple of layers of paper towel. Place the lid firmly back on the pot and cook for 10 minutes. Turn the heat down to low. Place a heat diffuser (if using) under the pot and cook for 40 minutes. When the rice is done gently lift the lid (without any condensation dripping back into the pot) and set aside. With a spatula gently scatter the rice mixture on a serving platter. 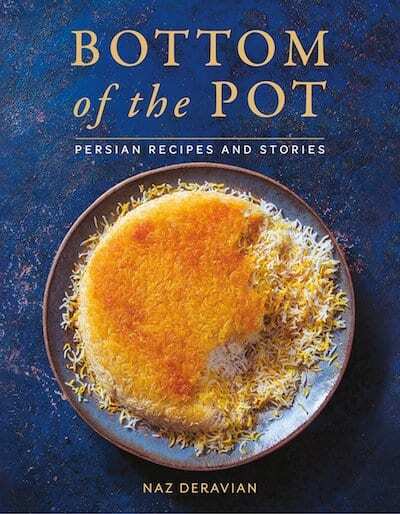 Make sure you don’t disturb the tahdig at the bottom of the pot. Garnish the top with the reserved barberries mixture. Gently scoop out the tahdig and serve on the side. Enjoy with a side of mast-o khiar and sabzi khordan. Listening to Queen while enjoying this dish is optional but recommended! I'm late, so very late, to this beautiful reflection on home, family, food, and bringing traditions with you from country to country, continent to continent. I bet Freddy Mercury would have loved this zereshk polo, Persian or not. Happy New Year! 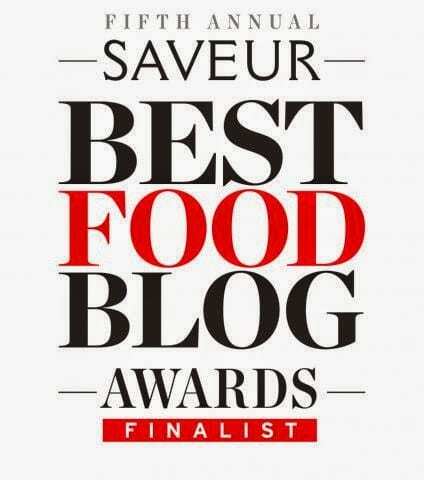 I am so glad I came across your blog…beautiful food and beautiful photos!! And now I am very late to this lovely comment. Thank you for your words, thank you for always being an inspiration. Thank you for visiting and your kind words!